Wasted Rubbish Removal – Rubbish Removal Box Hill, Doncaster, Blackburn, Ashwood, Camberwell. Rubbish Removal Box Hill, Doncaster, Blackburn, Ashwood, Camberwell. Are You A Tenant, Landlord, Property Manager or Homeowner that needs your Rubbish gone, now…?! Wasted Rubbish Removal have been removing Rubbish from homes, rental properties, offices, warehouses and deceased estates for over 10 years. We’re fast, professional and reliable. Call Now! Moving house? Relocating office? Just a clean out? We can help! We remove rubbish from all types of locations around Melbourne including rubbish and waste disposal from your home, from your rental property, from deceased estates, for landlords, property managers and body corporates, from your office and from commercial premises and warehouses. Our residential services are capable of meeting all deadlines and demands with an experienced team on standby. Our residential client base consists of general homeowners, property managers and landlords. 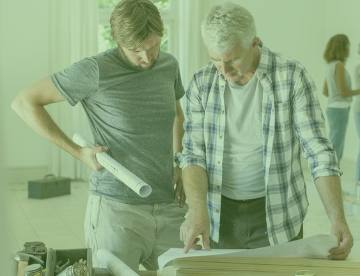 If you’re a builder, tradesman, handyman or owner/renovator that needs help with removing rubbish from a property or premises, give the team at Wasted Rubbish Removal a call to get your rubbish removed ASAP. Are you a property manager that has an on-going requirement for a team of professionals to help you with rubbish removal from the properties that you manage? Are you part of a body corp that needs the same? Call now. 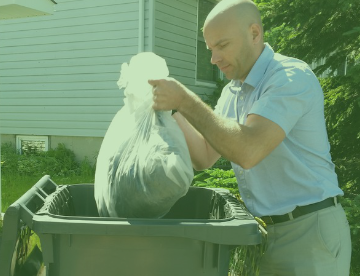 We have a couple of investment properties that we were renovating and we needed assistance with removing a whole bunch of waste from the front of these properties. Wasted Rubbish Removal were very prompt and took care of our jobs within 24 hours. I would definitely recommend. Well done to the Wasted Rubbish Removal team. We called them and they were at our house within one hour and had all of the rubbish gone within just two hours. Very prompt service at a very reasonable price. I would highly recommend anyone needing rubbish removed to call Wasted Rubbish Removal. I have never met a more professional Rubbish removal team, ever! Jenny from WRR was super professional over the phone and all of the rubbish that we wanted picked up from our various properties was picked up and disposed of in a very prompt manner. All surrounding areas were also tidied up too which most companies don’t do! Myself and my wife decided that we wanted to renovate our kitchen along with the rest of the house and there was so much rubbish and materials leftover afterwards. We called Wasted Rubbish Removals and the junk was gone within 24 hours. Thanks so much Jenny! We are a Rubbish Removal company based in Melbourne and servicing the Melbourne region and surrounds. With over 10 years of experience, we can help with any of your Waste Disposal or Rubbish Removal requirements.